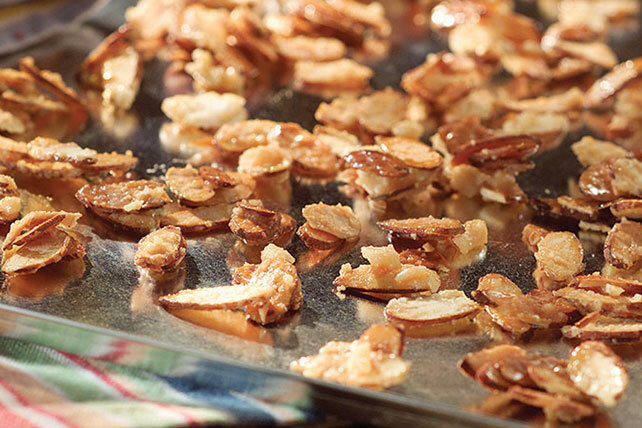 Make this Caramelized Almonds recipe today and prepare a tasty appetizer for your friends—or use them as a delicious garnish for another dish! Toss almonds with sugar in nonstick skillet; cook on medium-high heat until sugar is caramelized, stirring frequently. Spread into single layer on greased baking sheet or sheet of wax paper; cool at least 1 hour. Break into small pieces. Store in tightly covered container at room temperature. Prepare as directed, using PLANTERS Pecan Halves.